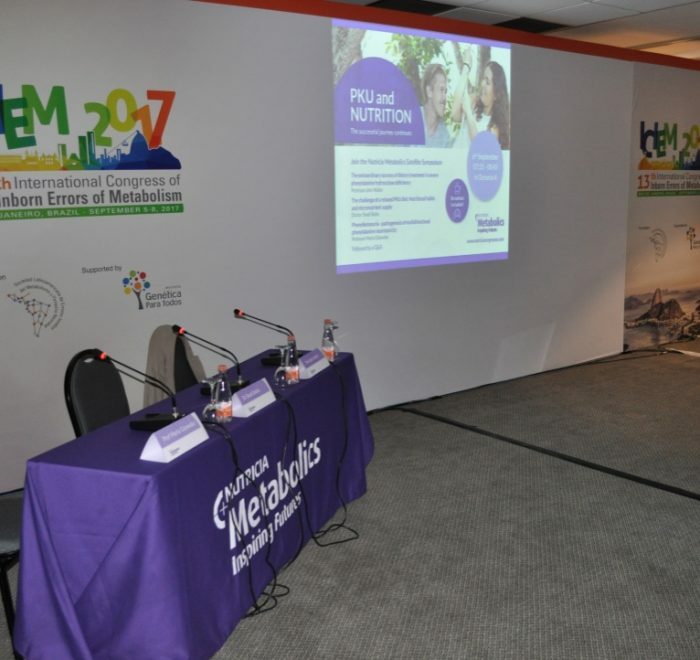 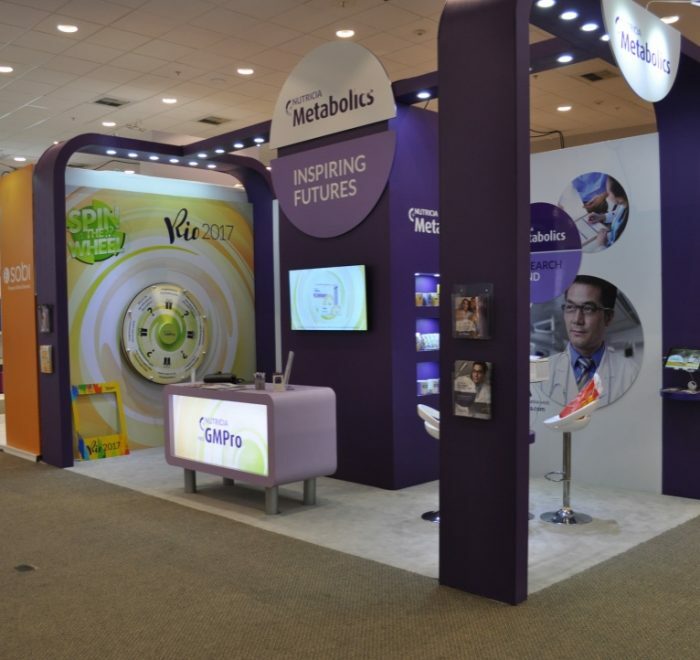 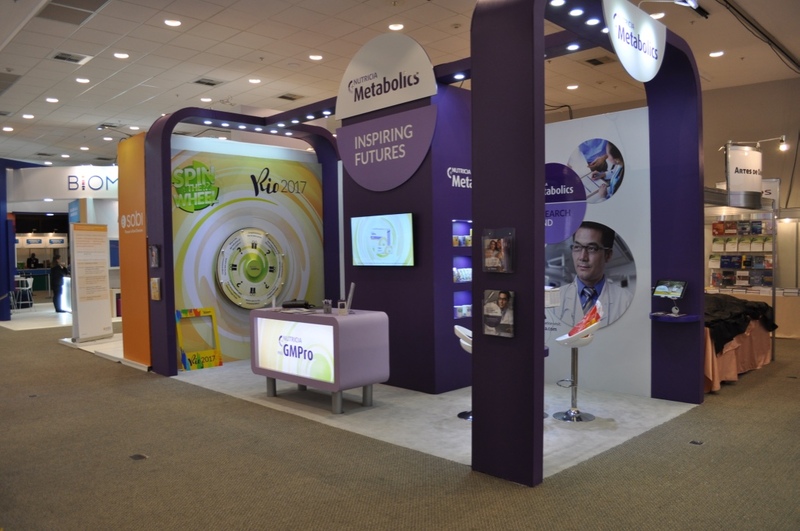 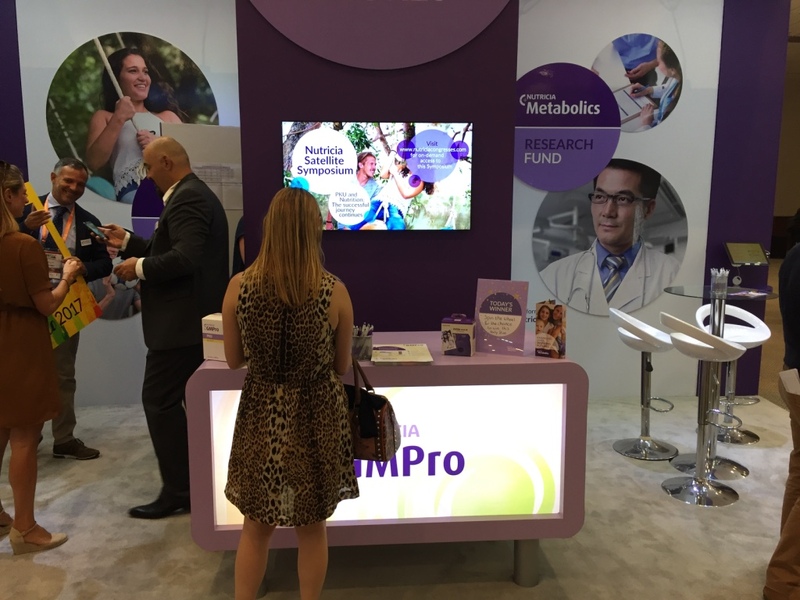 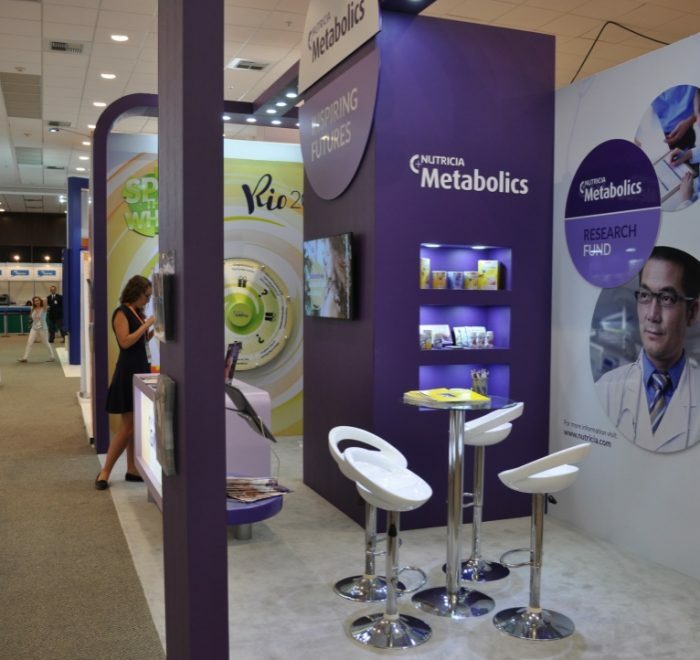 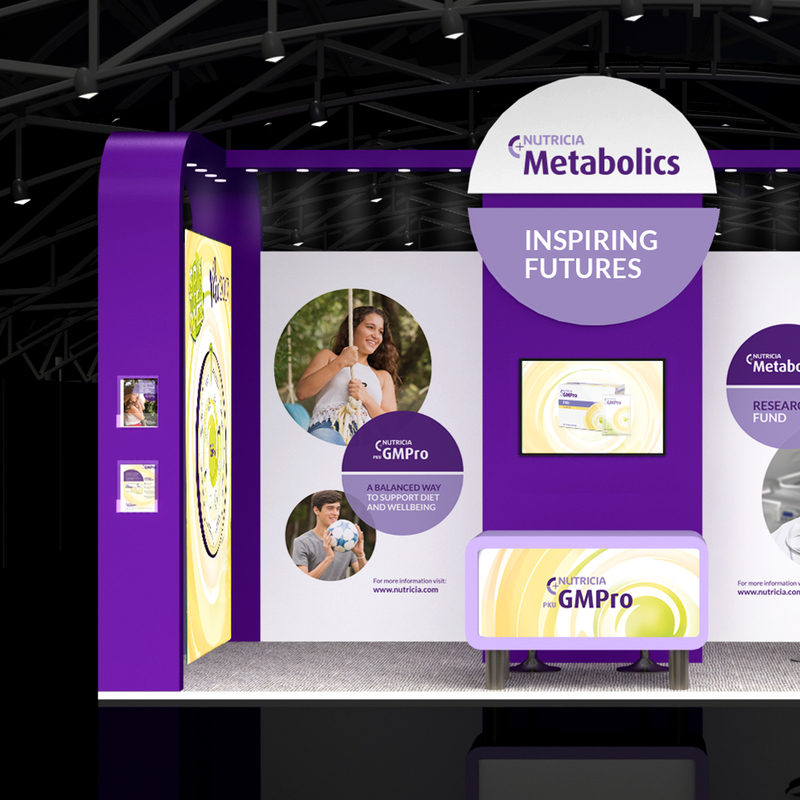 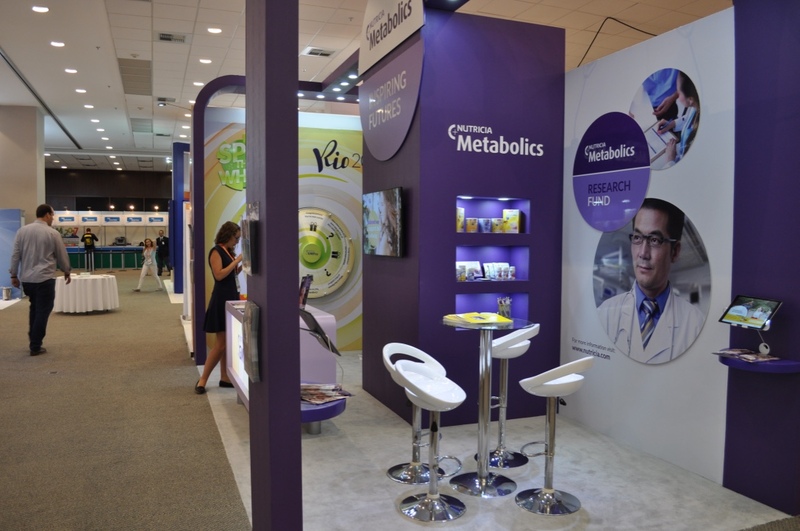 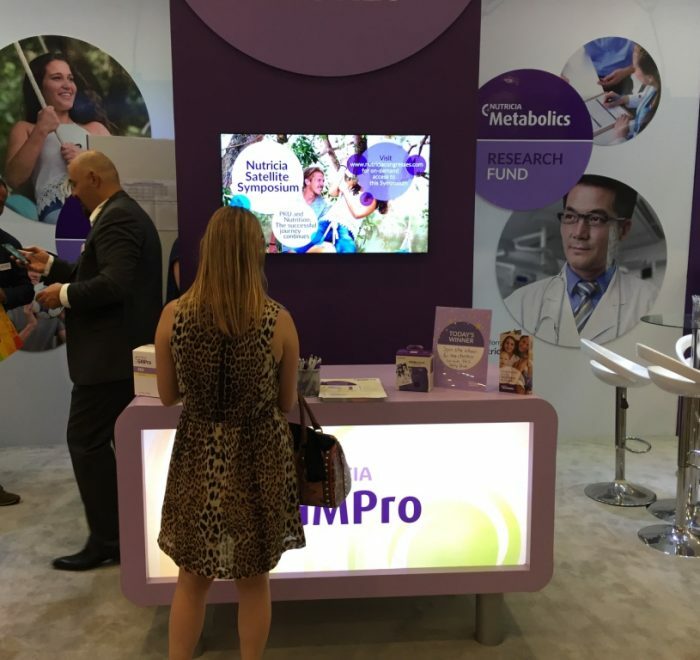 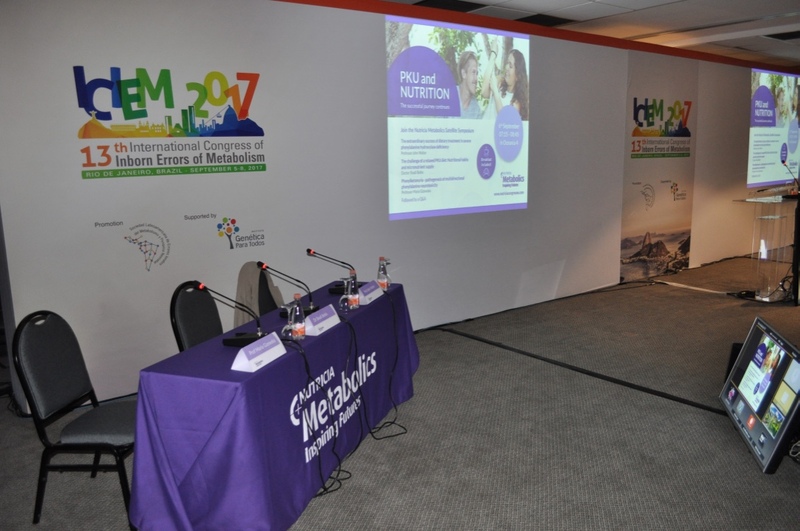 As preferred supplier to Nutricia Metabolics for the design and build of their exhibitions, they came to us for support with their annual ICIEM conference. 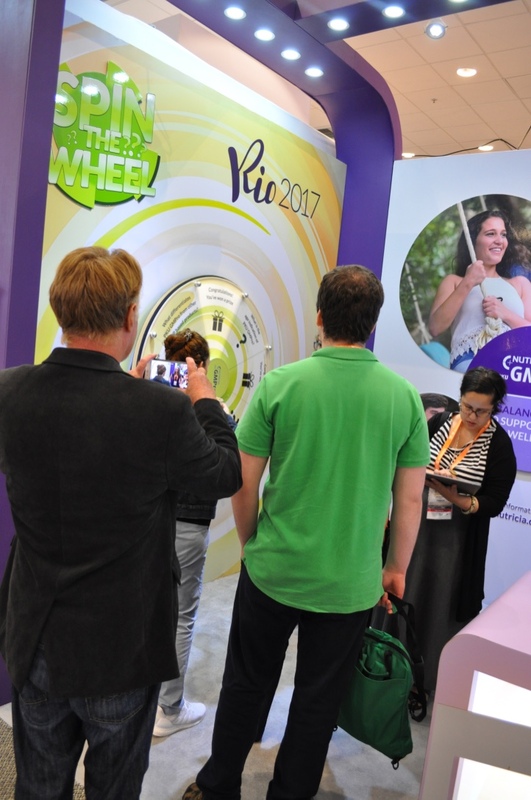 The challenge this year was the location as it was being held in Rio de Jeneiro. 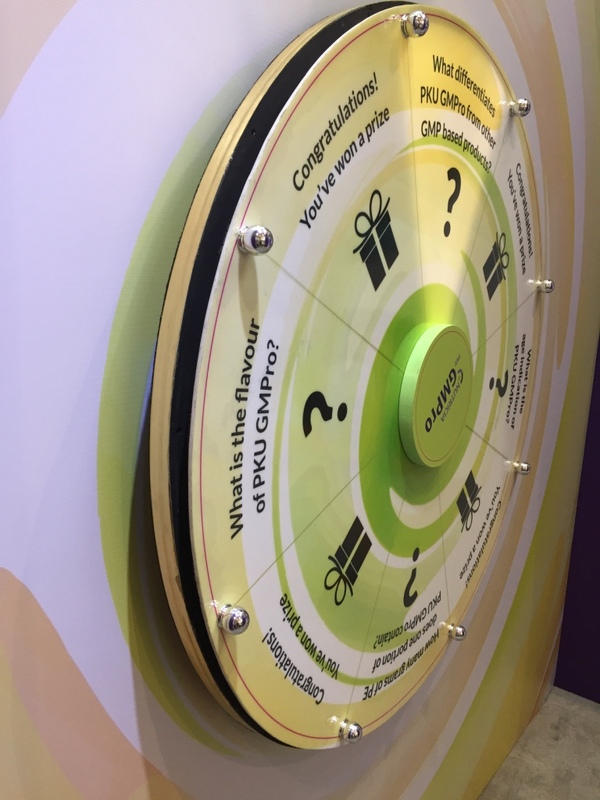 As with all clients we aim to provide the most cost effective solution, so in this instance we vetted a number of local contractors, undertaking a site visit to ensure the quality was up to standards. 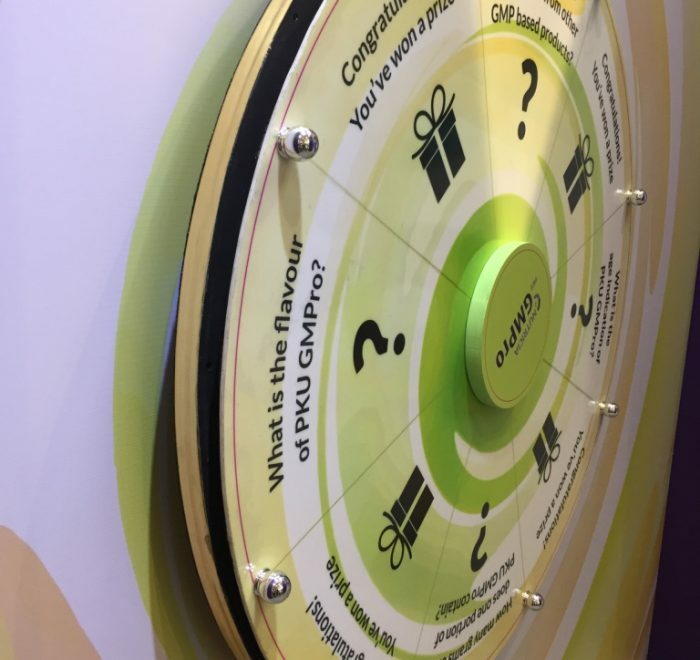 With a new product launch as the main focus, we provided an end to end solution, delivering the design of the stand and all supporting exhibition materials, manufacture and project management, pre and post event. 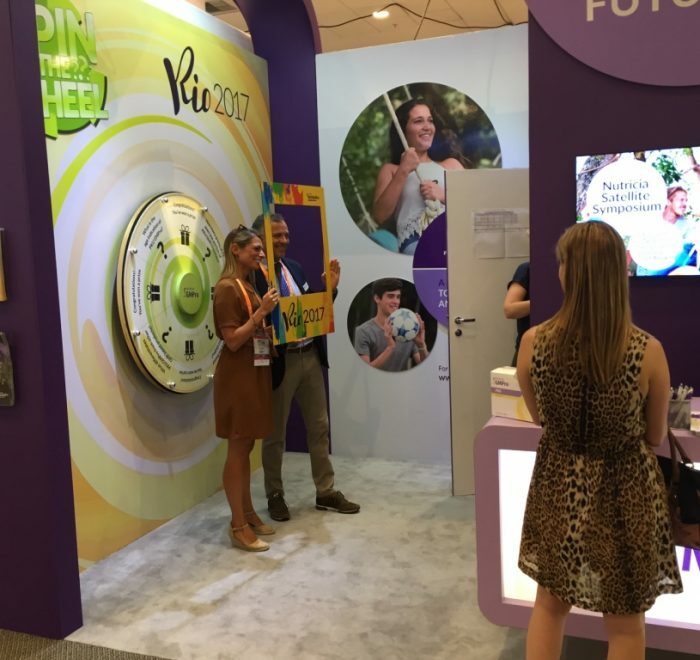 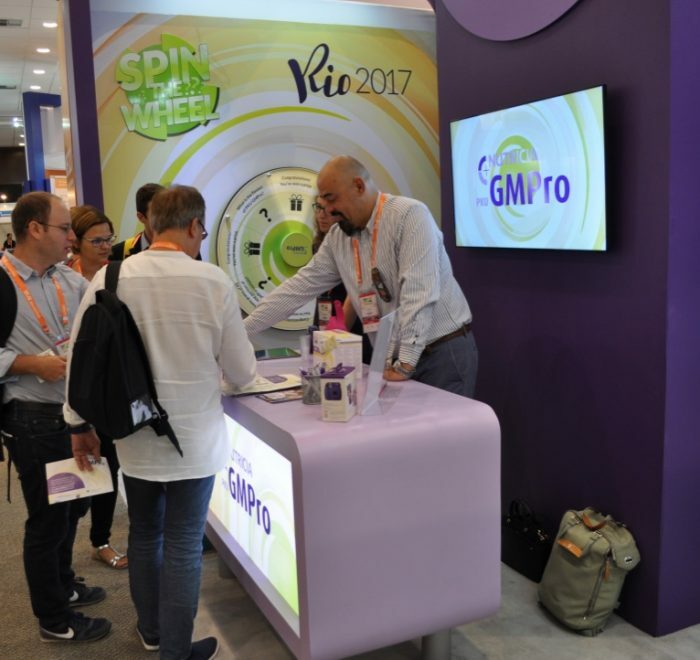 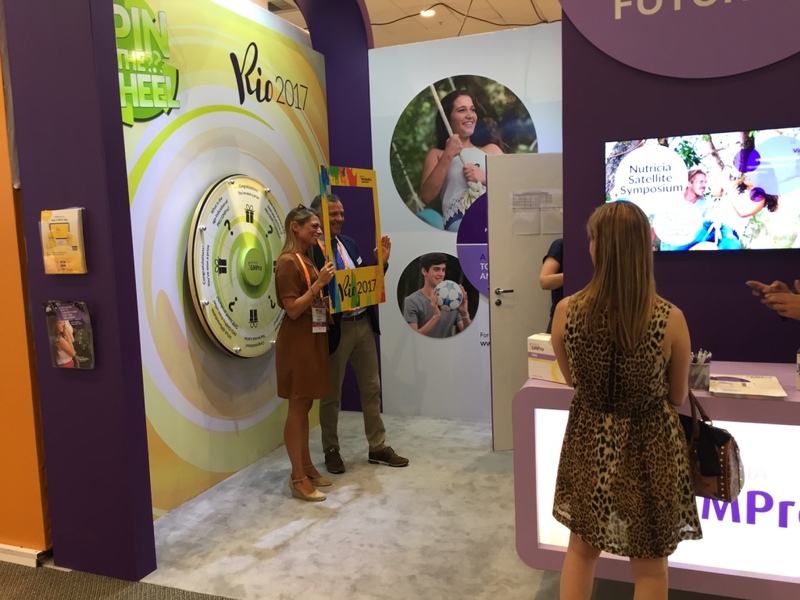 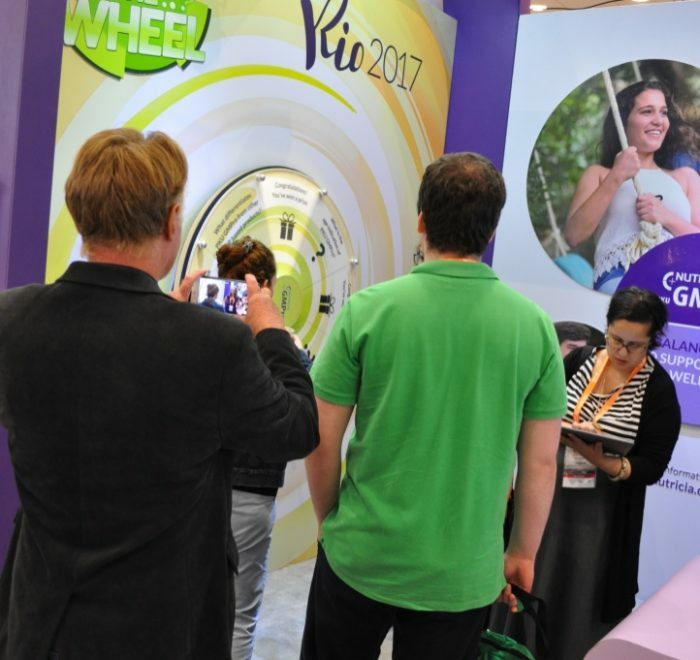 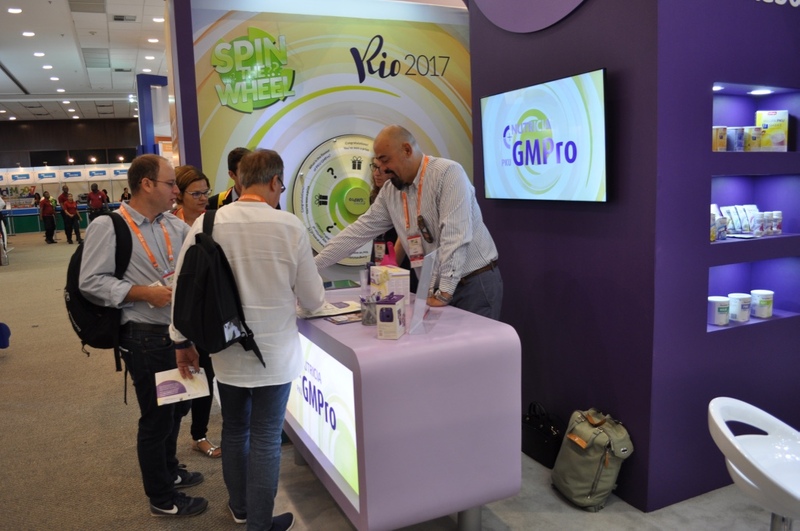 The ‘Spin the Wheel’ mechanism was inspired by the location of Rio – bringing the carnival atmosphere to the stand with an old fashioned game show wheel that promoted their new product.